Will Smith wearing Fitovers Navigator in Hancock. The lens color is difficult to make out. 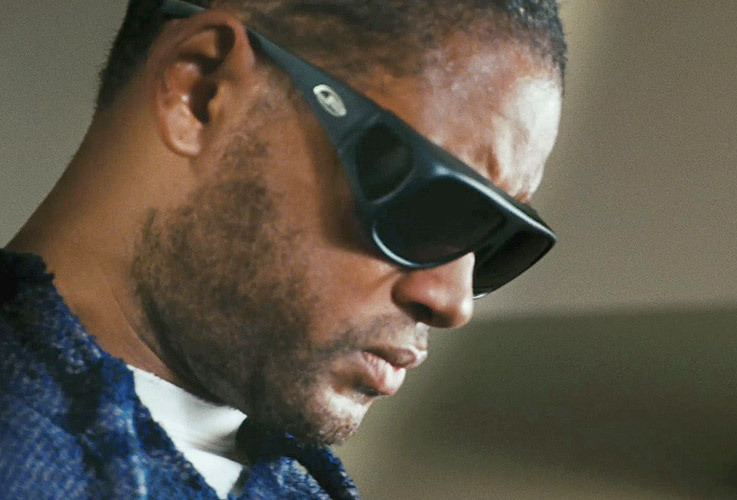 Will Smith plays John Hancock in the 2008 movie Hancock. On the movie poster and in the movie he is wearing a pair of Fitovers Navigator sunglasses. It has been suggested that these glasses are the Fitovers Navigator N002 (Matte Black frame, PDX Grey lenses), but it could also be Fitovers Navigator N002A (Matte Black, PDX Amber lenses) since the lenses in most movie screenshots seem to be amber color, instead of grey. Fitovers sunglasses are designed to be worn over prescription eyewear, hence the large, strange shape. Designed to be worn over medium, oval or round prescription eyewear frame shapes not exceeding 131mm x 48mm. 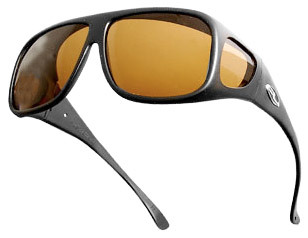 They come standard with PDXTM PolarDynamiXTM Polarized Lenses and Side Shields, Wrap around 100 % UVA & UVB protection, Hyper-allergenic Crystal NylonTM Frame and helps prevent Cataracts. Fitovers Eyewear is specifically designed to be worn right over your prescription eyewear. Fitovers Eyewear frames are also popular for use as "wear alone" sunglasses. With polarized glare-blocking protection and full wrap-around styling, Fitovers Eyewear is the perfect sunwear solution for your favorite outdoor pursuit.